Meet Nidhi Mayurika, a class 9 student who is way smarter than most of us doing a 9 to 5 job. This young lady aspires to be a cosmologist one day! 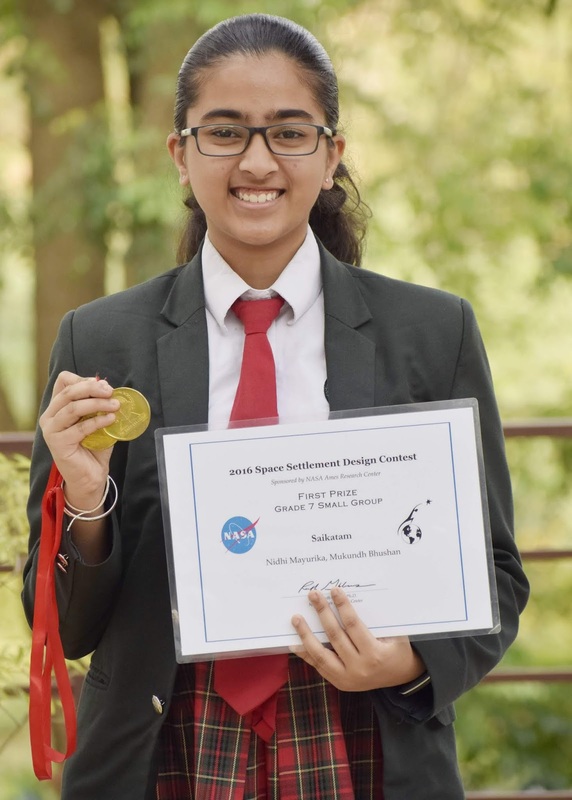 In 2016, when the NASA contest announced that the students must design something on the lines of the virtual space colonies in which settlers can live inside a gigantic spacecraft, Nidhidedicated all her time after school working on the project called Saikatam. "Saikatam is a three-layered space colony for human settlement at Earth-Moon Lagrange Point 5 situated at 3,85,000 km. It is a space colony for humans to survive, evolve and self-sustain. The space colony is akin to Earth with life gases, artificial gravity, water, and food,"
The time Nidhi spent after school has helped her accomplish what she's dependably longed for. Her devotion is estimable and a motivation for every one of us to take up something that difficulties us and expands our viewpoints.